We met through a mutual friend on facebook, after a number of long chats it was time to met………..over an 8hr coffee we have been inseparable ever since. hmmmm well………. Allan planned it well, unbenounced to me he recruited 2 of my good friends to make it all happen (who both ended up as bridesmaids). One was performing in a stage show and we were off to support her, it was an interactive show with the audience and I thought this would be a great opportunity to stitch my boyfriend up and get him dragged on stage, little did i know it was ME who was the main attraction, after literally getting pushed on stage, Allan turned around to me and got on one knee and asked the big question all in front of 150 people. With a short moment of “I’m going to kill you!” i said yes. Amazing, calm, on time and the best day we have both had, we wanted a party and thats what we got with all our nearest and dearest. Despite the wet weather. There was no one moment that out shone the next but with having the love of my life at the end of the aisle was amazing but getting memory lasting photos with my horses before the ceremony was the iceing on the cake. 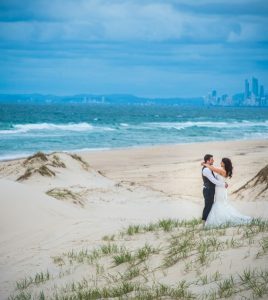 The moment Photographic Art arrived I felt at total ease with the whole wedding experience, with their professional, lovely attitudes and nature I knew we were in the best hands. I could sit back and enjoy the day the way its meant to be. They made it fun and relaxed, making everything calm. With Photographic art the whole day was that much more of an amazing experience. Even with the rain and fading light, the photos were stunning and experience was everything we wanted and we wouldn’t have wanted anyone else to share that special part of our day with us, capturing our forever memories and moments. 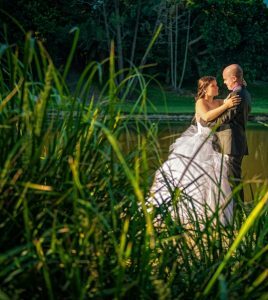 Kylie at Cedar Creek Estate was AMAZING, she was fantastic in every way. Nothing was a problem and she had the most amazing smile and laugh the whole time. The venue was stunning and the cocktail reception was perfect. Be organised and go through word of mouth from those that have been in the game along time, trusted sources make all the difference for the most exciting but stressful day. And remember once on the day and the little things don’t go to plan don’t let it ruin your experience just go with it and take a moment to take a breath and enjoy the moment.